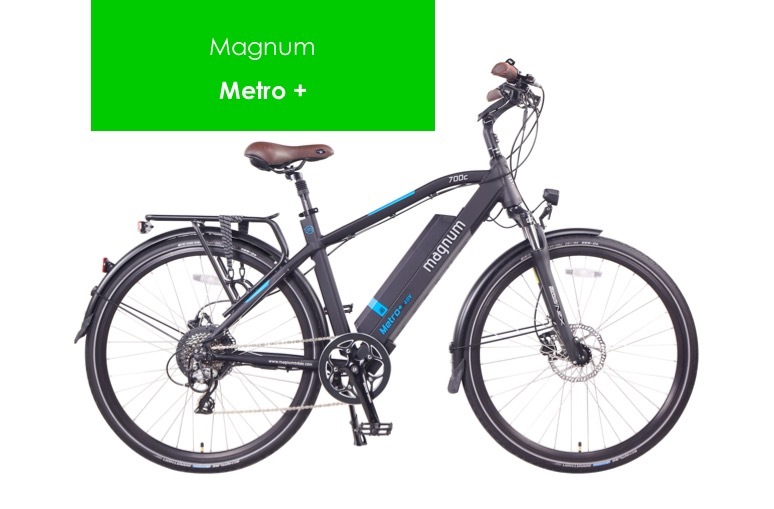 We are so excited to be a distributor for Magnum, a local Salt Lake City-based manufacturer of electric bikes. They offer high-quality electric bicycles at a reasonable price. Electric Bikes are an exciting new technology that started in Europe and Asia and is now spreading to the United States, including here in Utah. Many of our customers search online and think that would be a good place to buy an electric bike. But in general, you’re better off buying a less expensive brand like Magnum Bikes at a local shop, where you can get high-quality repair and maintenance. We sell tons of bikes from Magnum, and they love them. 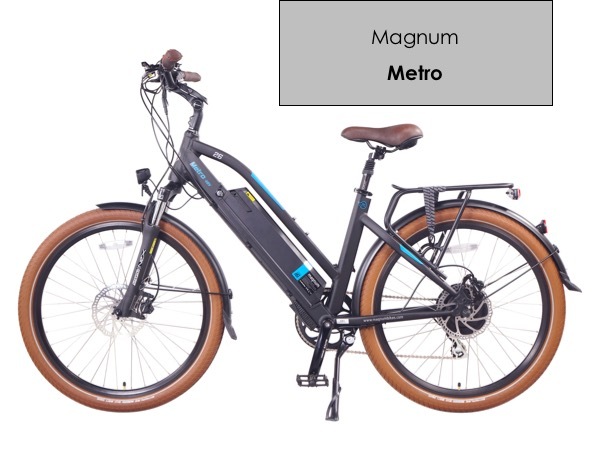 Salt Lake manufacturer builds the Magnum Metro+ e bike. SEE larger image. Magnum Mi5 (e bike) in Salt Lake City, Utah. SEE larger image. 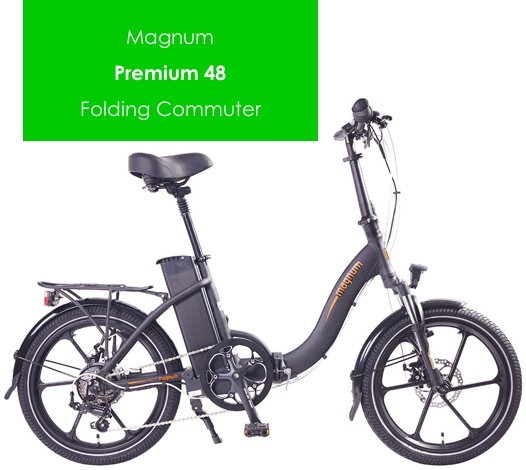 Buy a Magnum Premium 48 (Folding E Bike) in Salt Lake City. CLICK to see larger. 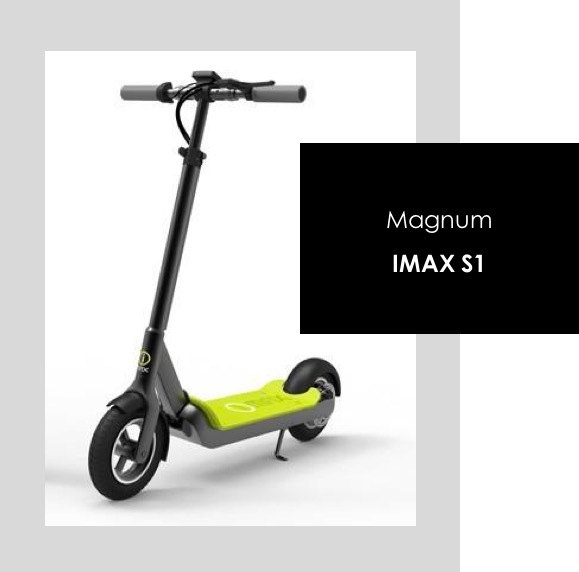 Magnum IMAX S1+ electric powered scooter at High Country E Bikes in Salt Lake City store. CLICK to enlarge. 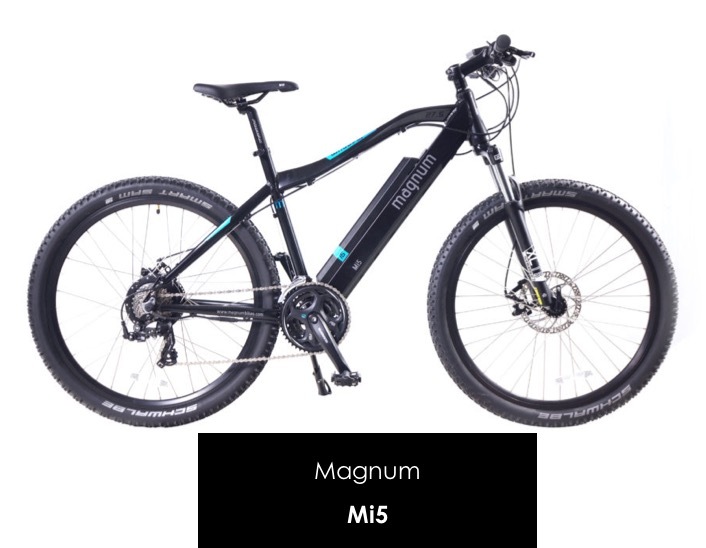 We at High Country E Bikes have a great selection of electric bicycles in Salt Lake City by Magnum Bikes. See us today to find the right bike for your needs and pocket-book.